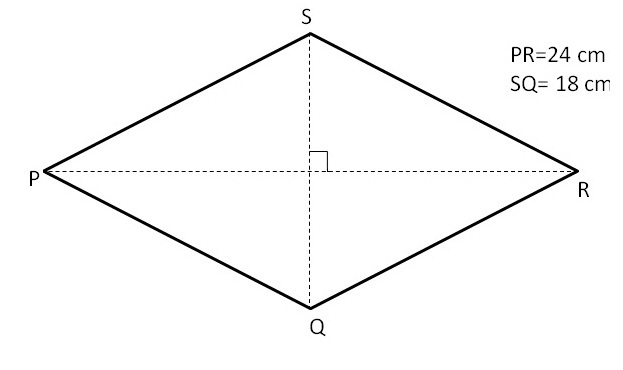 To show that the area of rhombus is half the product of its diagonals. A rhombus is a simple (non-self-intersecting) quadrilateral whose all four sides are of same length. If a parallelogram has two consecutive sides congruent, it is a rhombus. If two triangles are congruent then their areas are equal. 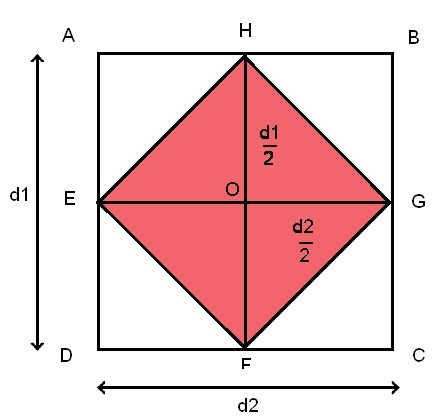 Find the area of the following rhombus. PR = d1= 24 cm. SQ = d2 = 18 cm. So, the area of the rhombus PQRS is 216 cm2.